KVH Industries, Inc. (Nasdaq:KVHI) has created a Brazilian subsidiary, KVH South America Comunicacao Por Satelite Ltda. (aka KVH Brazil). With the fully licensed mini-VSAT Broadband(SM) service in Brazil, the new entity allows KVH to provide better local support for its TracPhone® satellite communications systems and mini-VSAT Broadband service. 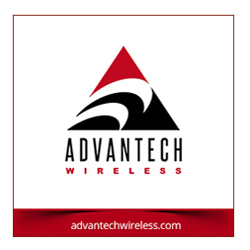 KVH's mini-VSAT service has been fully approved by the Brazilian regulatory agency, Anatel, allowing the mini-VSAT Broadband service to be used anywhere in Brazil and its surrounding waters. Following testing in Brazil and approval of the test results by Anatel, KVH also homologated its TracPhone V7 system, which means it can now be sold and installed throughout Brazil, a country with very stringent licensing requirements for satellite communications services. 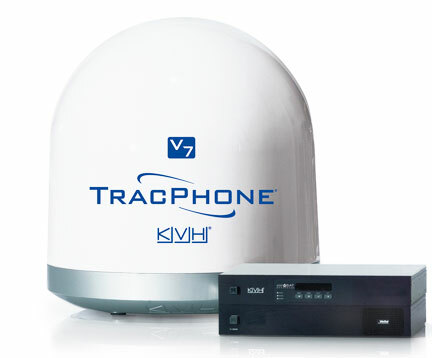 Establishing a Brazilian subsidiary was a key part of KVH's global mini-VSAT Broadband licensing initiative, which permits TracPhone V7 owners to use mini-VSAT Broadband service without concern wherever they travel. This access covers coastal waters and hundreds of ports around the globe, including those where unlicensed maritime VSAT services are barred, which is an important consideration for KVH's commercial customers. Of particular interest to oil and gas fleets are KVH's mini-VSAT Broadband service and compatible TracPhone V7 hardware, which were designed from the ground up to be the first next-generation maritime satellite communications solution. The global spread spectrum satellite network, built with ViaSat's patented ArcLight® technology, offers more affordable airtime, voice service and Internet access as fast as 512 Kbps (ship to shore) and 2 Mbps (shore to ship). More than 1,000 TracPhone V7 systems have been shipped in the three years since the product's introduction, making the mini-VSAT Broadband network the world's fastest growing maritime VSAT solution. Combined with offices in Denmark, Singapore, and Norway, KVH Brazil is a key part of KVH's commitment to supporting mini-VSAT Broadband users throughout the network's expanding global coverage area.